The breakthrough representation of minorities in Hollywood blockbusters has ignited a frequently overlooked discussion about whether prejudice isn’t just about the colour of a person’s skin, but the shade. Colourism, the idea that light-skinned minorities are given more privilege than their darker-skinned peers, is a centuries-old concept that many insiders say remains pervasive in the entertainment industry. 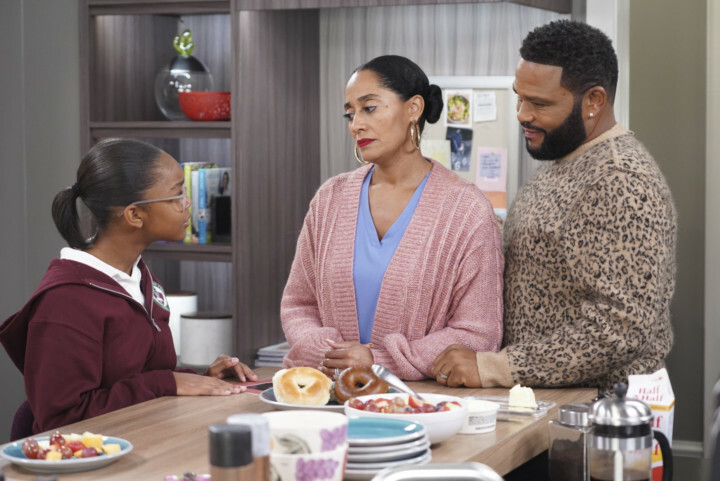 The instant reckoning of social media has brought prominence to the issue and the sitcom ‘black-ish,’ known for not shying from heavier topics, confronted it. 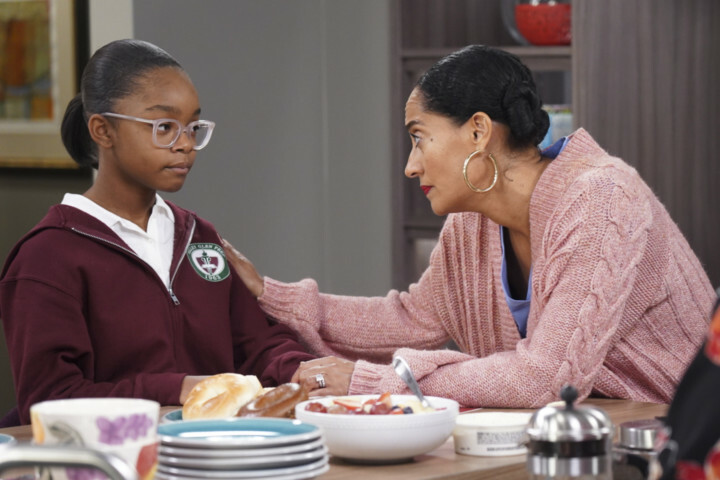 In the episode ‘Black Like Us,’ parents Dre and Bow (played by Anthony Anderson and Tracee Ellis Ross) are appalled when they see that daughter Diane (Marsai Martin) appears darker in her poorly lit classroom photo. Their outrage sparks a tense conversation within the family. “We felt that this was the year to just put it on our shoulders and see what we can do and hope at the very least we can get people to talk about it openly,” said co-showrunner Kenny Smith. Executive producer Peter Saji wrote the episode. A light-skinned, mixed-race man, Saji drew from his own experiences as well as research. “There is a light-skinned privilege that I never really wanted to admit I felt or experienced. I sort of grew up ‘Oh, we’re all black. We all experience the same struggle,’” he said. More often when movies and television shows ignite conversations about colourism, it’s unintentional. In 2016, a furore erupted over a trailer showing actress Zoe Saldana portraying singer and activist Nina Simone. Saldana’s skin was darkened and she wore a prosthetic nose. When images from ‘Ralph Breaks the Internet’ came out last year, it appeared Princess Tiana, Disney’s first black princess, had a lighter complexion and sharper features. Anika Noni Rose, who voices Tiana, met with animators and spoke about how important it was that dark-skinned girls see themselves represented. The studio also consulted the civil rights group Color of Change. “They had to spend some real money to actually fix this. They recognised the problem, they listened and they worked to change it,” said Color of Change executive director Rashad Robinson. The issue isn’t unique to black people. In India’s Bollywood film industry, the starring roles tend to go to lighter-skinned actors, many of whom endorse products promoting fairer skin. The movie ‘Crazy Rich Asians’ left some Asian-Americans disappointed by a lack of brown or dark-skinned actors. Meanwhile, ‘Roma’ director Alfonso Cuaron received praise for casting Yalitza Aparicio in the lead role of an indigenous maid. The character is more at the forefront than her lighter-skinned Mexican employer. For African-Americans, bias toward lighter-skinned people dates back to slavery. Skin complexion sometimes determined what type of jobs slaves were assigned or if, post-slavery, they were worthy of receiving an education. In later decades, universities, fraternities and other institutions were known for using the ‘brown paper bag’ test: Those with skin lighter than the bag were in. The problem also exists within the music industry. Mathew Knowles, who managed daughters Beyonce and Solange and Destiny’s Child, said it’s no accident that most of the recent top-selling black artists are lighter-skinned like Mariah Carey and Rihanna. He said Beyonce often got opportunities that darker-skinned artists probably wouldn’t. Knowles, himself darker skinned, said his own mother instilled in him that darker skinned women were less desirable. It’s a perception that he thinks is starting to shift. That is a strategy that ‘black-ish’ co-showrunner Smith also agrees with. “With anything it’s always best to have a truthful conversation,” Smith said.